" The Creator has sown seeds in the soul, spirit, mind and physical body of every human being: the seeds of gifts and virtues, of Magic powers and of all heaven's splendours, and only the light and warmth of the sun are capable of awakening these seeds and making them grow. The day man understands this and decides to draw nearer to the spiritual sun, all the seeds lying dormant in him will begin to sprout and grow and produce flowers and fruit." 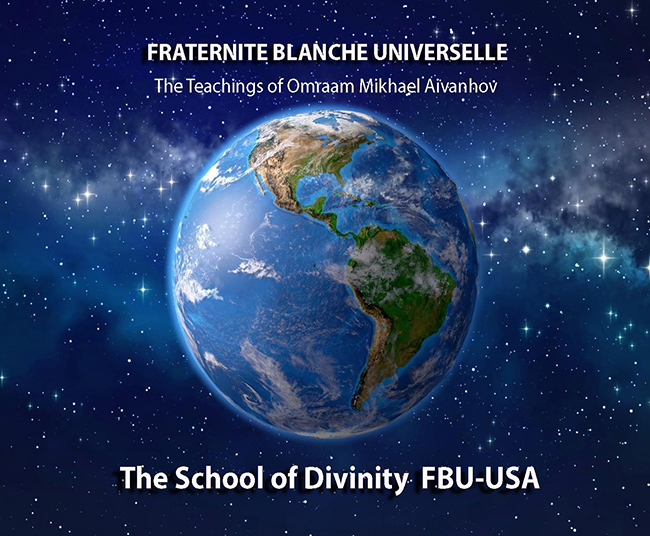 FBU reflects on the material level what is believed to be an actual fraternity of highly evolved beings who exist on a higher plane.